Includes: One Year License for Road Swaps Gospel TemplateTM + ODC (Online Decision Card). See additional Features below. Absolutely No Risk. 60 Day Full Money Back Guarantee! Renews automatically after 1 year. Cancel anytime. 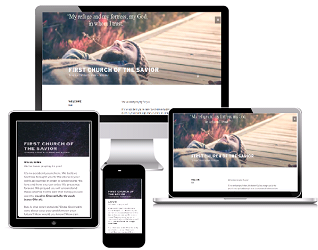 Instant Church name and Pastor/tagline recognition with your own customizable God’s Plan Gospel Template when friends and neighbors in your community, or anywhere in the world, visit your Church website. For a brief demonstration on installing your Road Swap widgets visit Video 9/44. You’ll also minimize frustrating page abandonment* with our ODC (Online Decision Card) for recording Decisions for Christ. You get an email notification within seconds after they submit their decision. IMPORTANT NOTE: Your Full Partner + ODC membership allows for customized fields on your Template that will display your Church name, Church tagline (optional) and Header video selection.